This program is designed to be a safe and effective exercise program for a wide range of ages and conditions including arthritis. It uses the Sun Style of Tai Chi with its Qigong exercise to benefit balance, flexibility, mobility, coordination, management of arthritis and health in general. 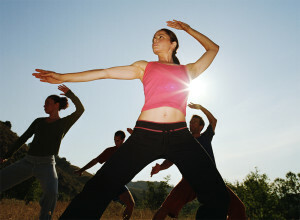 Tai Chi for Arthritis is promoted by the Arthritis Foundation as an effective program for managing arthritis. The New York State Older Adult Fall Prevention Program uses it and the OASIS Institute is implementing it in Missouri to reduce the number of falls. No prior experience necessary. Tai Chi Level 1: Designed for beginners or those in the early stages of practicing Tai Chi. least two sessions of Taie Chi Level 1.